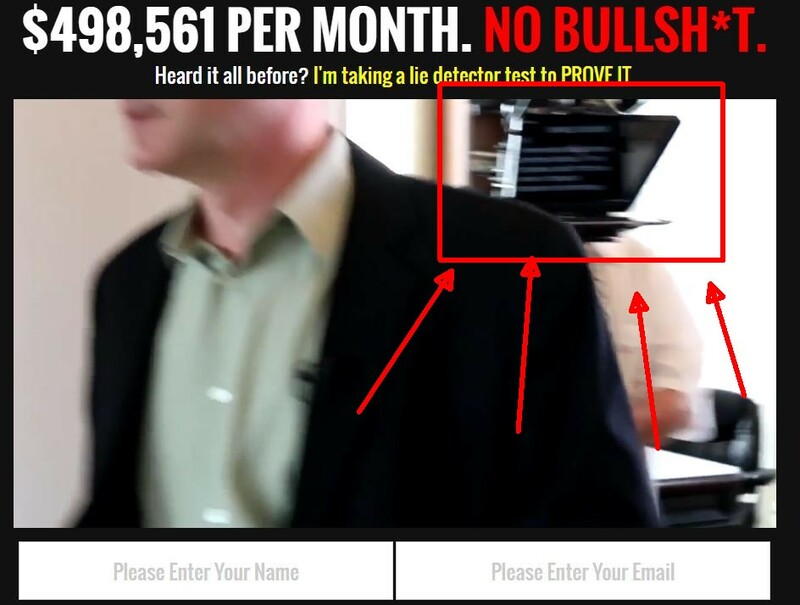 This review is about a brand new binary options scam called „Lie Detector Millionaire“. It is presented by Daniel Wilkins. Wilkins says that together with Trader X he developped a binary options trading software called Lie Detector Millionaire. It allegedly is making him hundreds of thousands of dollars per month and it has not had a losing trade in monhts. To prove that he is saying the truth Wilkins does a polygraph test. No you can get access to this software for free. The truth is that the Lie Detector Millionaire story is completely bogus. Wilkins is in fact just a paid actor. The purpose of this scam is to make you open a trading account with a certain broker and deposit money, because this is what these scammers are getting paid for as affiliates. You can see that Wilkins is just reading a script shown on the camera, look at the picture on the right. The innovative scam element of Lie Detector Millionaire is the polygraph test. Wilkins supposedly answered truthfully to all the questions about his new and old business. When you look at the picture on right, you see that the test was done by Jonas Kane – PI & Polygraph Examiner from California. But we did a research and there is no polygraph examiner of this name. So the test is fake and done with a paid actor. 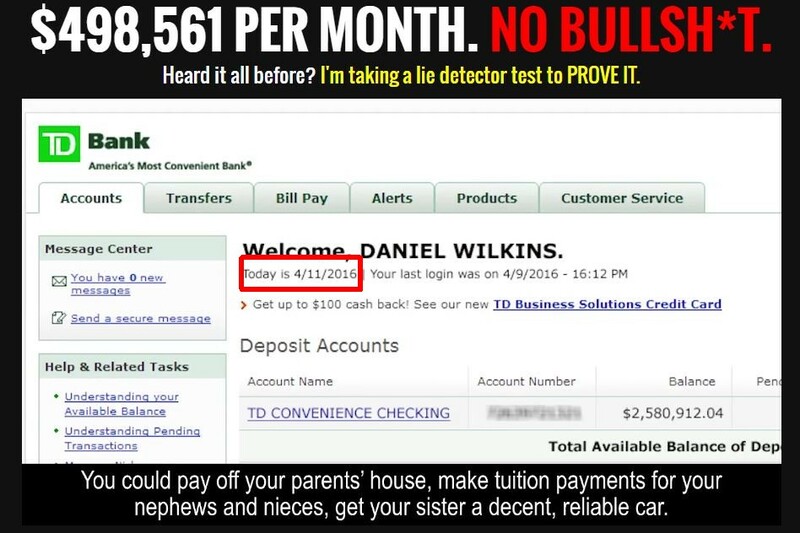 We did this review of Lie Detector Millionaire between 2 and 3 AM EDT April 11, but in the video Wilkins shows a bank account statement from April 11 and you can clearly see that it is day time. So it is clear that the statement was faked and prepared in advance for the video. 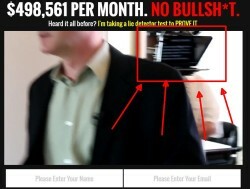 Also all the testimonials you can see on the Lie Detector Millionaire web page are fake, photos are from public sources. 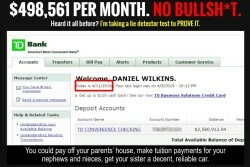 In his video Wilkins shows how his software turned a $250 deposit into more than $12,000 in just 16 trades in one day. It is of course fake, but also think of this: the average return on binary options is 80 %, so this profit would require an insane amount of risking, should it be real. 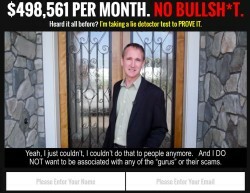 But in reality the Lie Detector Millionaire is a losing app that cannot trade binary options profitably. 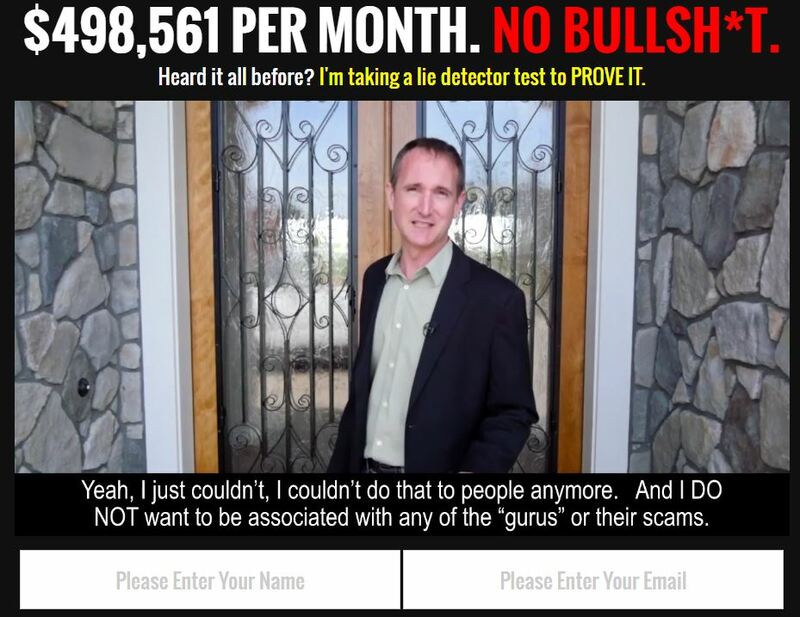 Lie Detector Millionaire is a scam sponging on the phenomenon of binary options. Forget about these scam systems promising you free money, money is not free. Money can be made in binary options trading, you can see on a free demo how it works. But you need to devote some time and learning to it in order to start making money.